Paper counter bags are an ideal cheap way to promote a product or to package food or inexpensive items at point of sale. Depending on size and printing requirements, these can be printed from as little as 10,000 bags. They can be produced from either white kraft or brown kraft papers, of which there is usually some percentage of recycled materials. 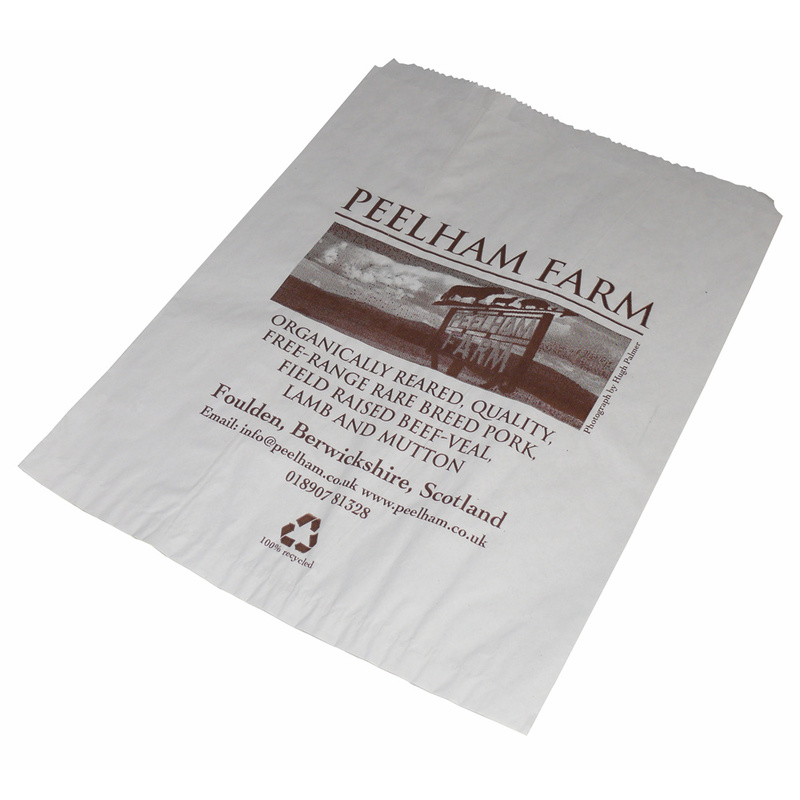 printed sizes of these carrier bags range from 2" x 4" up to 19" x 26". These sizes are subject to machine settings available and also number of colours available per the machine. The paper used generally ranges from 35gsm paper up to 70gsm paper. printed: 1 colour, 1 side, 30%. printed: 2 colours, 2 sides, 30%. Please note, machine settings are all in inches. Beckdale.co.uk assist in the creation of exhibition 1 colour paper counter bags kraft. Our in house sales staff have the knowledge to help managers choose unique 1 colour paper counter bags kraft. To obtain choose by material or similar , contact Beckdale via your preferred method.